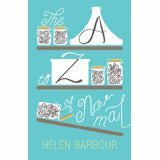 In The A to Z of Normal Clare lives with obsessive-compulsive disorder, perfectionism and anxiety and as one who is only an untidy pile of papers away from slipping over into this life (hell I even bought a desk with curved edges to prevent me being able to line things up against them) I could totally understand her feelings which were excellently portrayed by Ms Barbour throughout this book. Clare is a successful, independent woman who loves Tom. He sounds great, and is just a normal bloke who lives in an untidy house with his dog. Clare has no problem going to his house to stay because it is not her space. The problem comes for her when he asks her to marry him. She realises that she is not going to be able to impose the rules she lives by once they are married and sets out to ‘cure’ herself. Here comes the only irritation I had with this book. I found myself in one of those moments where you’re shouting at the television ‘Don’t go upstairs/outside/for God sake turn the lights on!’ when watching a horror film only in this case it was, ‘You’re getting married, just tell him!’ Obviously much of the story would have been lost if she had done at the outset and I’m sure there is something in the disorder which makes the sufferer want to keep that information to themselves. However, this reaction of mine shows how well the writer engaged me right from the start of this read. Eventually, of course, it does all come out and we see how their relationship progresses from there. One of my favourite parts was Clare’s interaction with Michael from the support group. Without giving any spoilers what happened there did not sit well with me, and how Clare is going to cope with that in the future will be interesting (is there going to be a sequel?) However Clare’s realisation of what he was up to I thought was brilliantly handled. I found this a very interesting read which highlighted the details of a complex condition that Ms Barbour is clearly very knowledgeable about and I don’t hesitate in highly recommending it. I received a copy of this book from the author, via Rosie’s Book Review Team, in exchange for an honest review but this has not altered my opinion of the book one iota. Thank you Georgia a great review. Thanks Rosie, thanks for the opportunity to read the book, thoroughly enjoyed it. Thanks to both of you for your support. This is a great start to 2016! 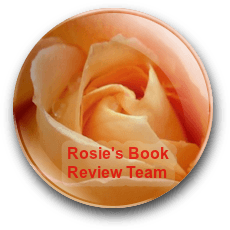 Christoph, thank you so much for your fantastic review on Goodreads – much appreciated!